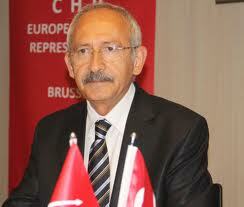 During a Central Executive Meeting of the CHP, Mr Kemal Kılıçdaroğlu has said that Turkish politics is run by a “parallel palace organization”, claiming that Turkey is run by a “dual bureaucracy”. According to him, there is a conflict between current ministers and politicians who are waiting to be a minister in the new system. This new system will fully go into effect after presidential and parliamentary elections in 2019.